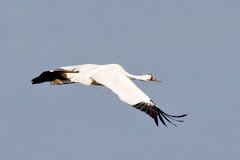 Taking Flight: Mr D flies Free! 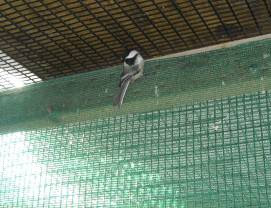 A very lucky Black-capped chickadee flew to freedom on Thursday! He was a favorite in part because we do so few passerines ( perching birds) in the winter and he had a harrowing experience with a mouse trap! I am willing to bet not many chickadees survive a mouse trap! I mean not many mice survive a mouse trap! You might wonder about his name. We did too! The children of the family that found the little guy named him. We kept it and put it on his record so we would be able to tell the family when he was released. We don't usually name the birds that come into rehabilitation. Especially those that will be released to the wild again. A name indicates ownership and nothing could be further from the truth in the field of wildlife rehabilitation. We do the work for one reason and that is to give these amazing wild birds a second chance at life in the wild. Some birds, despite our best efforts are not able to be released. If they are comfortable with captivity they can become part of either our educational program or that of other facilities that have the proper permits. Sometimes zoos or nature centers use our non releasable birds in their displays. So, if you hear us refer to a bird with a name, that bird is most likely one of our educational birds. Or, it has a history such as MR D. When children are involved in rescues we are especially sensitive to their needs. This may be their first interaction with wildlife on a close basis. We want it to be a good experience so they view wildlife and wildlife protection as something they can do in the future. Mr D was released here at REGI. He has been seen with our local chickadees feeding at our feeders. We hope he stays away from mouse traps in the future.